Just in time for the holidays. The dish most requested by my sister-in-law, Shirley, this concoction is more like a dessert than a vegetable. Don't even think about calories or cholesterol. Serve hot. Enjoy. Right before it goes into the oven. Mash potatoes. Stir in sugar, margarine, eggs, and milk. Pour in baking dish. Mix topping ingredients. Spread on top of potatoes. 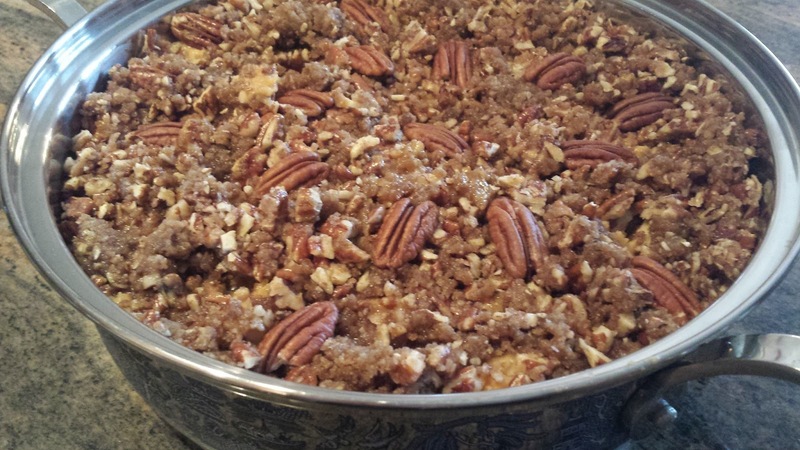 Garnish with whole pecans. Bake uncovered in 375 degree oven for about 30 minutes until heated through and topping is golden brown. To me it's best when the top is nice and crunchy! *I got an email from someone who'd tried my recipe, and loved it! The only thing - the center wasn't quite done in 30 minutes. 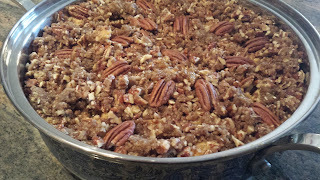 I make mine in a fairly large baking dish, because I like for the topping to be spread out (and sometimes I make extra, too! ), so if you're using a deeper baking dish, you might want to leave it in the oven for about 40 minutes. Just watch to make sure the topping isn't burning. If it's browning too quickly, cover with aluminum foil. I like cranberries and granola. That sounds good! Hope the new recipe turn out well. Happy Thanksgiving! Hi Donna. Can I cook and peel my sweet potatos today and bake my casserole tomorrow? If so, how do I store them overnight? Hi, Laura, Can you believe I didn't see your question until today? I'm sorry! If you want to make this ahead of time, you can either mix it all up and bake it before dinner OR go ahead and bake it, then heat it up. My family squabbles over who gets to take home the leftovers because they heat up well. The topping will get even crispier. Watch that you don't burn it though. I suggest that if you make it ahead and are re-heating that you cover it with aluminum foil. Hope you had a great dinner! 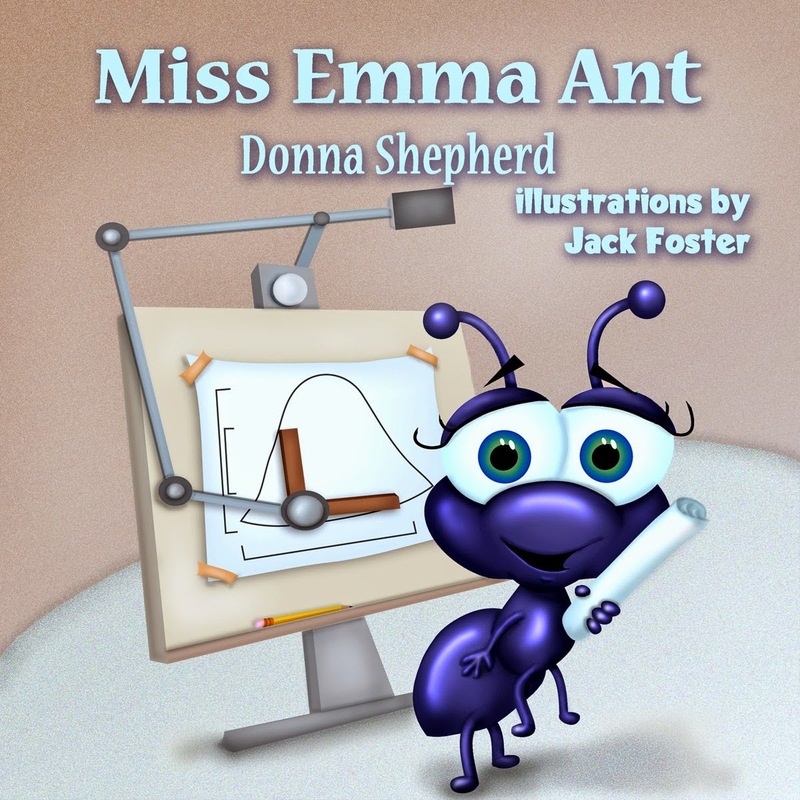 "Ms. Shepherd’s expert use of rhyme through storytelling will make Miss Emma Ant a go-to book to share with the young ones in your life. 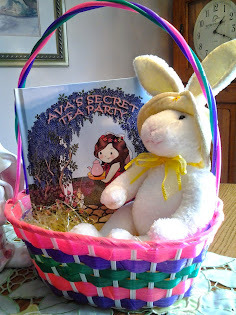 The fun-filled facts and resources at the end will surely keep the conversation going." Have You Always Wanted to Be a Writer or Speaker? Click pic for more information on workshops in the Cincinnati-Dayton area. New! 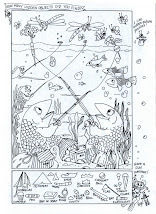 FREE Printable Topsy Turvy Picture to Color!